The Lay Fraternities of St Dominic consist of lay men and women who seek to deepen their devotion to Christ by pursuing their vocation as Dominicans in everyday life. Lay Dominicans are fully incorporated into the Order of Preachers, and have been in existence since 1285. They have also been known through history as Third Order Dominicans and Dominican Tertiaries. Many Lay Dominicans have reached great heights of sanctity through their life in the Order. Prominent Lay Dominicans include St Catherine of Siena, St Rose of Lima, St Zedíslava Berkiana, Blessed Adrian Fortescue, Blessed Bartolo Longo, and Blessed Pier Giorgio Frassati. Many things attract men and women to join the Lay Fraternities. For some it is one of the mottos of the Order – such as Veritas, ‘truth’ – which sparks a desire to pursue the ideal behind the motto. Others might be inspired by the example of St Dominic and the mission of the Order he founded. Others are conscious of a call to live their faith through a commitment to study and contemplation. Whatever the reason, belonging to the Lay Dominicans should always be seen as a deepening of one’s baptismal consecration and a response to the universal call to holiness. The Four Pillars of the Order give shape to the Lay Dominican’s spirituality. Lay Dominicans attend Mass, pray the Rosary, and pray the major hours of the Divine Office (morning and evening prayer). If possible, they pray in these ways every day. 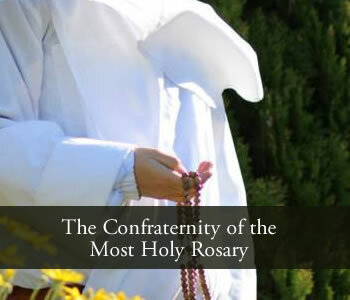 They are also encouraged to read the Sacred Scriptures, and to develop devotion to the Blessed Virgin Mary, St Dominic, and St Catherine of Siena – the Patroness of the Lay Fraternities. Lay Dominicans are committed to the assiduous study of revealed truth and constant reflection on contemporary problems under the light of faith. Study forms part of the formation programme of the Lay Dominican. It is both a form of prayer and a necessary prelude to sharing the faith with others. Generally Lay Dominicans belong to a nearby chapter. This provides Lay Dominicans with their common life in the Order. They meet regularly with other members for prayer, discussion, and apostolic work. 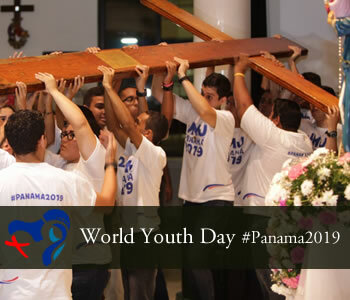 On occasions through the year they also collaborate with other members of the Dominican Family. Someone who approaches the Order and eventually makes a lifelong commitment to the Order would follow a process of discernment through several stages. Every stage is a joint process of discernment between the inquirer and the Fraternity which the inquirer seeks to join. The process begins with an approach to the local chapter. The inquirer then begins to attend chapter meetings as a guest to learn about the Fraternity. The inquirer then commences a period of probation, which lasts for one to two years. During this time the inquirer is clothed in the white scapular and begins to learn to live as a member of the Order. After the period of probation, the candidate makes simple profession. The promises made at simple profession are for a period of one to three years, and may be renewed as the member continues to discern their vocation to the Order. 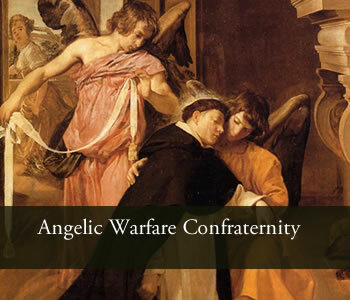 At the end of the period of discernment, the member of the Fraternity makes a lifelong promise to live as a member of the Order according to the Rule of the Lay Fraternities of St Dominic.